Razer has a track record of creating some outlandish product concepts, but I’m finding it hard to think of one as ridiculous as Project Valerie. 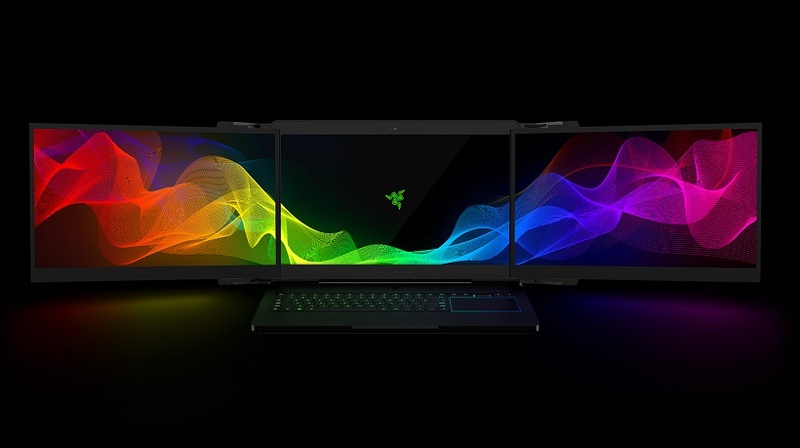 Revealed (and demoed) at CES this weekend, Project Valerie is Razer’s idea of taking the already ludicrous gaming laptop idea and just breaking the scale into a thousand pieces. Not intent with just one massive 4K screen, Valerie crams in two more. A laptop that is not aesthetic by any means, but does present some interesting prospects. Valerie is still a laptop in name, but this concept is the furthest thing from portable you can likely imagine. 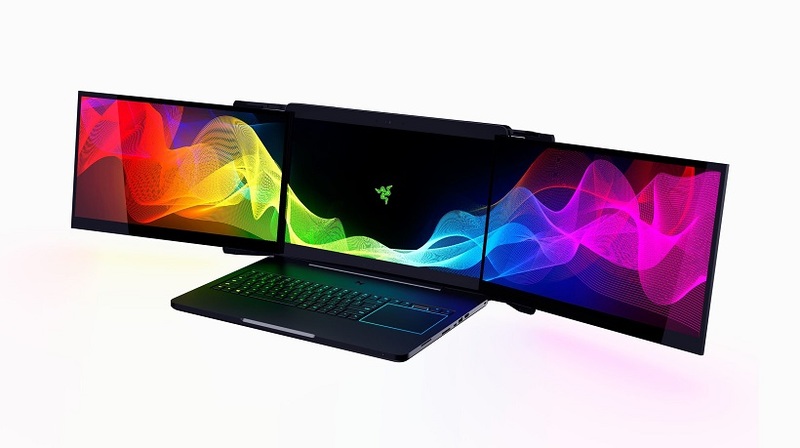 Its three 17-inch screens fold up into one singular space, making the closed laptop thick, bulky and incredibly heavy. That all disappears when it spreads out its wings though, with Razer creating a truly immersive experience that you can technically fold up into a backpack and take anywhere. All three screens are 4K IGZO displays, equipped with Nvidia’s G-Sync technology to keep your 21:9 aspect gaming as smooth as possible. That’s done with some beefy internals, not too unlike an actual laptop you can buy, the Razer Blade Pro. You’ll get the full version of the GTX 1080, a full 32GB of DDR4 RAM and a suitably powerful Core i7 processor to keep everything going. That’s certainly not enough to power 4K gaming across three screens, but it’s the best you’re going to get on the market now. It also means that this is likely going to be a “keep me plugged in at all times’’ laptop – although that’s par for the course for anything gaming and portable at this stage. And being a concept, Razer could eventually forgo the idea of releasing Valerie at all. Price is the concerning factor here – the current Razer Blade Pro retails for around $2800, so it’s not far fetched to assume something with three times the screen space could easily go for well over $6000. Considering that’s not the most expensive gaming laptop that was at CES, Razer could launch Valerie as a really niche, really expensive enthusiast piece of tech. Just don’t expect it to become the norm anytime soon.